The year is 1866. The maritime world is gripped by fear after reported sightings of a huge and terrible sea monster. Monsieur Aronnax, a distinguished Professor of Natural History, pronounces the creature to be a giant narwhal and is invited to join an official expedition to track down the beast. But Professor Aronnax is proved wrong; the beast is not of the natural world, but a huge submarine. 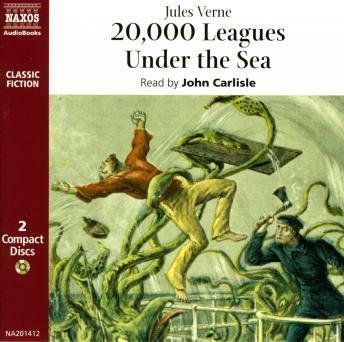 When he is pulled out of the sea by the enigmatic Captain Nemo, and imprisoned on the Nautilus, he experiences at first hand the marvels and perils of submarine life. 20,000 Leagues Under the Sea is possibly the first and finest work of science fiction plausible, terrifying and utterly gripping.